[T.K. Justin Ng from Helsinki] A short post. 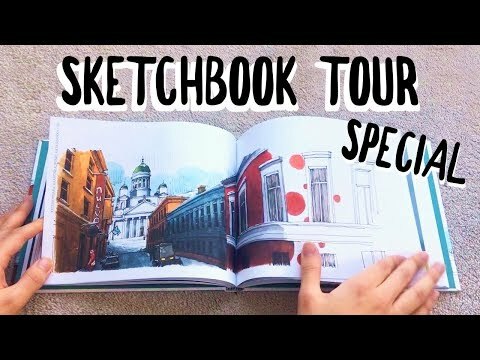 A quick flip through of my first published book which includes my sketches from urban sketching in Helsinki, Porvoo, Turku, Stockholm and Tallinn. 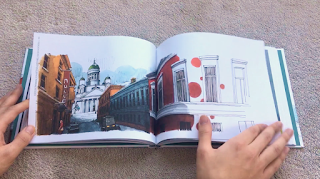 See the city through the eyes of an artist! These skillful drawings by an architecture student showcase the most beautiful features of Helsinki. Join him in his travel from Suomenlinna to Senaatintori, Temppeliaukio Church to Torni and the nearby cities of Porvoo, Turku, Stockholm and Tallinn. Through his sketches and maps, Canadian Justin Ng tells about these sights and discusses his experiences of living in Finland. Urban sketching is a fun hobby, and getting started with it only requires a pen and some paper. In this book, Ng gives various tips including the use of colour, drawing in perspective and sketching in extremely cold weather.